This is an episode you DON’T want to miss! I had a blast talking with Patti Katter (a.k.a. Wonder Woman) who has several really good stories she shares with. She starts by sharing a wonder women moment that will have you in tears from laugh so hard. 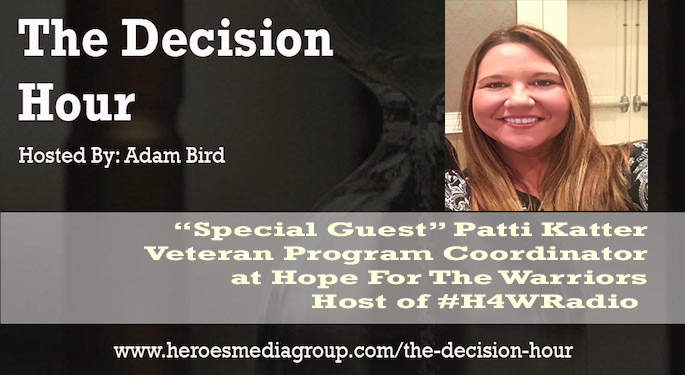 She then tells us about her journey from meeting her husband (USMC/Army Veteran) to them joining the Army and what that was like, to her starting a Non-Profit and then closing its doors to where she is now, doing AMZING work with the organization Hope For The Warriors (www.hopeforthewarriors.org) and hosting a Radio show #H4WRadio that can be found on their website.